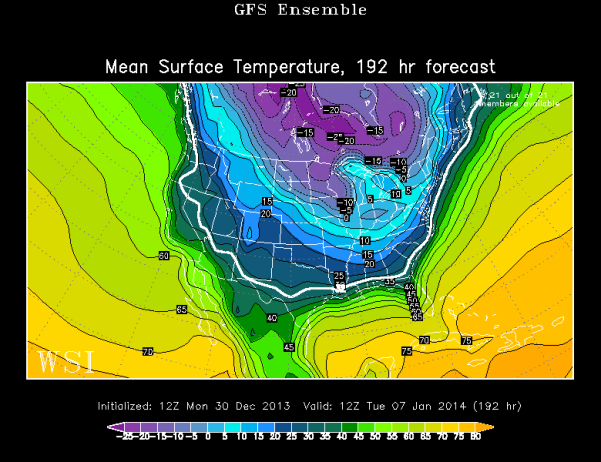 While models have wobbled more than usual with the handling of weather systems recently, the latest computer model runs all suggest a large piece of arctic air will drop into the Ohio Valley next week. The specifics about the timing and strength of the cold plunge are nowhere close to being finalized, but a signal of very to extremely cold temperatures should be taken seriously. 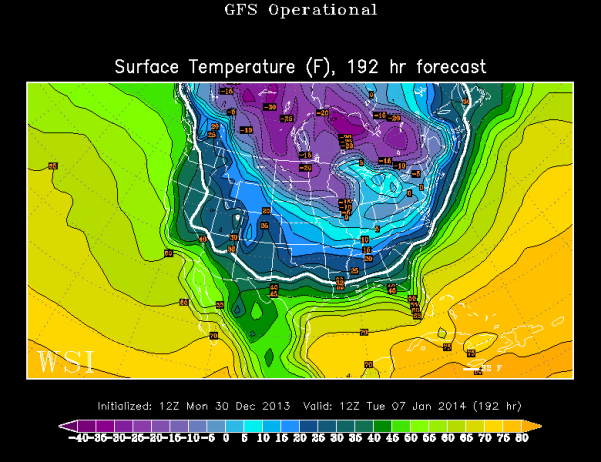 There is already a lot of hype about next week’s cold blast on social media. Some models are producing very cold temperatures for the Tri-State next week, while others are suggesting we’ll come close to setting all-time record low temperatures. These same models may change their tune later this week and over the weekend, but for now, they all agree that cold (in some form) is coming soon. 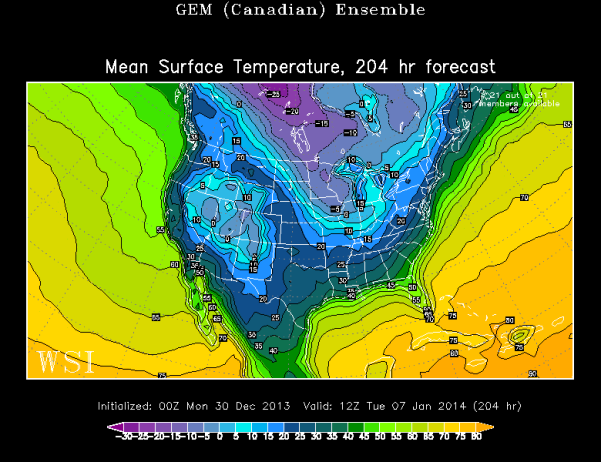 Clearly, there is a large spread on overnight lows from one model to the next. Long range forecasting can be very tricky, especially when dealing with the timing of disturbances more than a week out. 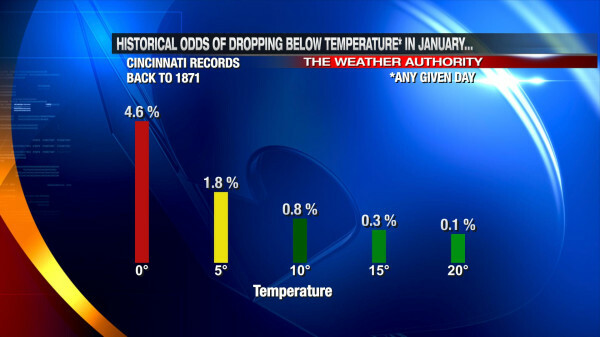 What are the historical odds that the low temperature on any given January day in Cincinnati will drop below these same temperatures? 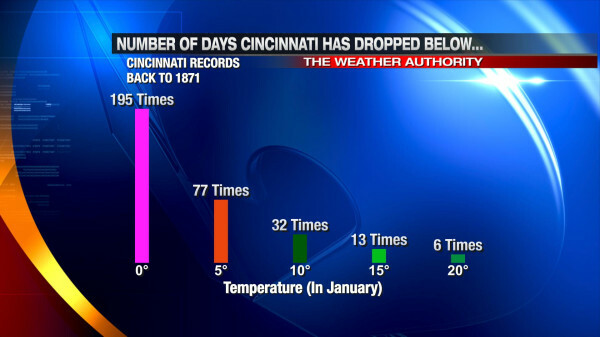 On average, Cincinnati drops below 0° two days each January. There have been many years where we didn’t hit 0°, but there have also been years where we hit or dropped below 0° frequently (16 days in January 1977). 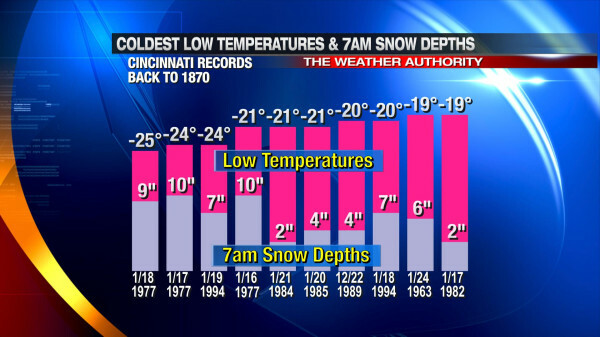 The presence and amount of snow on the ground in Cincinnati has a big impact on how cold we get at night. 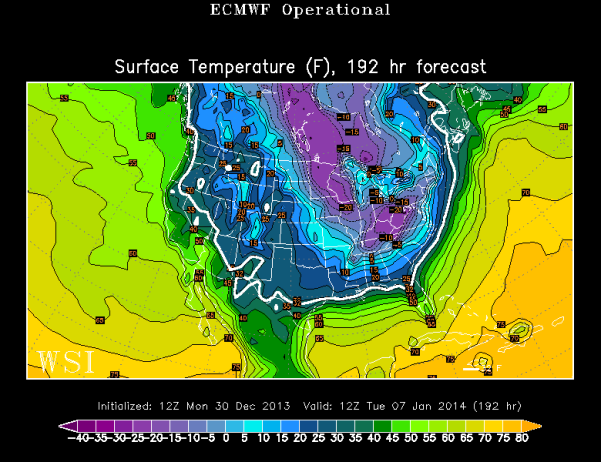 The presence and amount of cloud cover at night has a impact on how cold the Tri-State gets. The amount of snow to the north and west of Cincinnati (even as far back as the Plains and Dakotas) can have a big impact on how low temperatures go. Just as drought begets drought and wet begets wet, cold and snow begets cold and snow. A dense snowpack from the Ohio Valley to the Plains is often a major contributor to record cold, as arctic air from Canada “holds together” better when it travels south. Simply put, we are getting signals from recent computer model runs about a significant surge of arctic air next week. Some models suggest we will see near-record cold, but this is highly dependent on the extent of cloud cover and snow cover in the Ohio Valley in the coming days. Stay tuned for what could be one of the biggest – if not the biggest – polar plunges we’ve had the Tri-State in the last couple of years! Time to toss another dog on the bed!! !